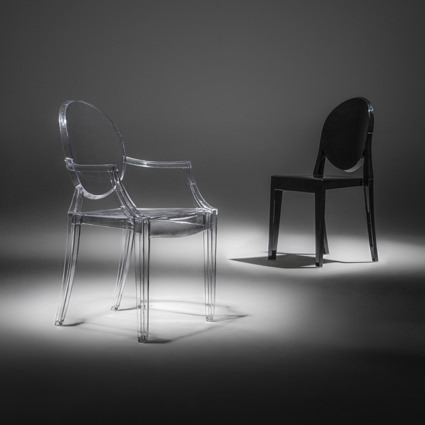 This classic style accent chair takes a dark spin on the clear ghost chair. 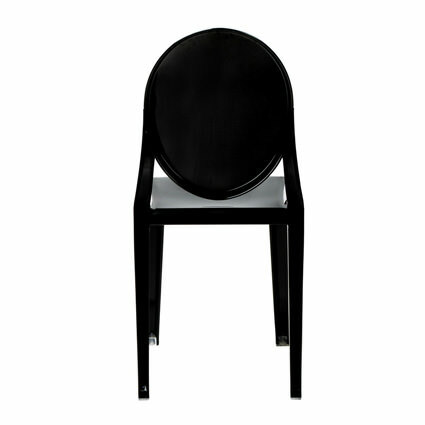 It has a smooth black finish and contoured seat. 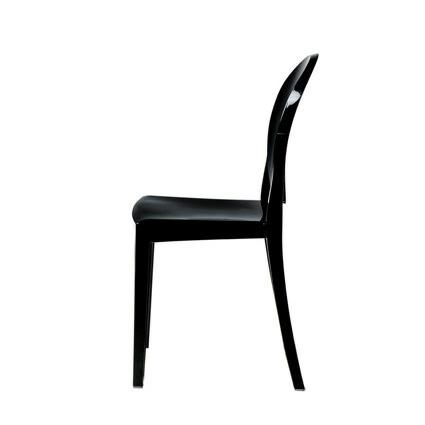 Its fluid molded structure and sturdiness make this chair perfect for both indoor and outdoor events. 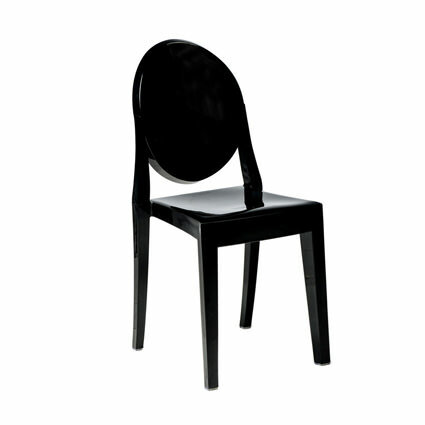 The ghost chair is a statement chair that will add class and style to your event.